The urgency of the problem of how to learn from the relatively recent past in order not to repeat its devastating effects, a problem that revolves around the ethics of memory and history, has combined with an awareness that later generations of victims and perpetrators—the “post” generations—may find themselves inhibited in relation to moving forwards because they are not truly “post” at all. It is as if they are haunted by the experiences of their predecessors, which is passed on in some way through stories and selective silences, as well as through the older generation’s ways of handling themselves and the personal and cultural representations of their situation. 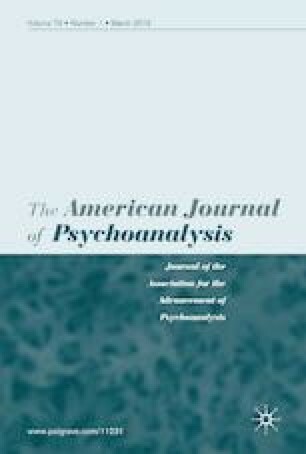 This article presents a psychoanalytic reading of the postmemory literature, drawing on second generation Holocaust literature and in particular rendering the distinction between postmemory as a mode of traumatic identification and postmemorial work as a form of working through. Active memorial work that allows repetitions to be turned into processes of recovery is essential for the laying of ghosts to rest. Address correspondence to: Prof. Stephen Frosh, Room 502A, 30 Russell Square, Department of Psychosocial Studies, Birkbeck, University of London, London WC1B 5DT. This paper will be part of the book: Those who come after: Postmemory, Acknowledgement and Forgiveness by Stephen Frosh, to be published by Palgrave.